Enjoy 4 slices of Joann’s Fudge in this beautiful custom Christmas Box depicting Main Street on Mackinac Island. Our Christmas One Slice Box, Christmas Two Slice Box, or Christmas Three Slice Box, is shipped in a beautiful custom burgundy box with our Joann’s Fudge Christmas Sleigh! Choose the perfect size gift for your friends and family. Our Deluxe Five Slice Burgundy Box with gold lettering is a perfect gift for someone special! We have THREE SHIPPING OPTIONS FOR CHRISTMAS FUDGE! You can order fudge in the first delivery for co-workers, teachers, your hair stylist, or your yoga instructor :) You can order fudge in the second delivery to take as a hostess gift for a holiday party or to send to friends and relatives out of town. 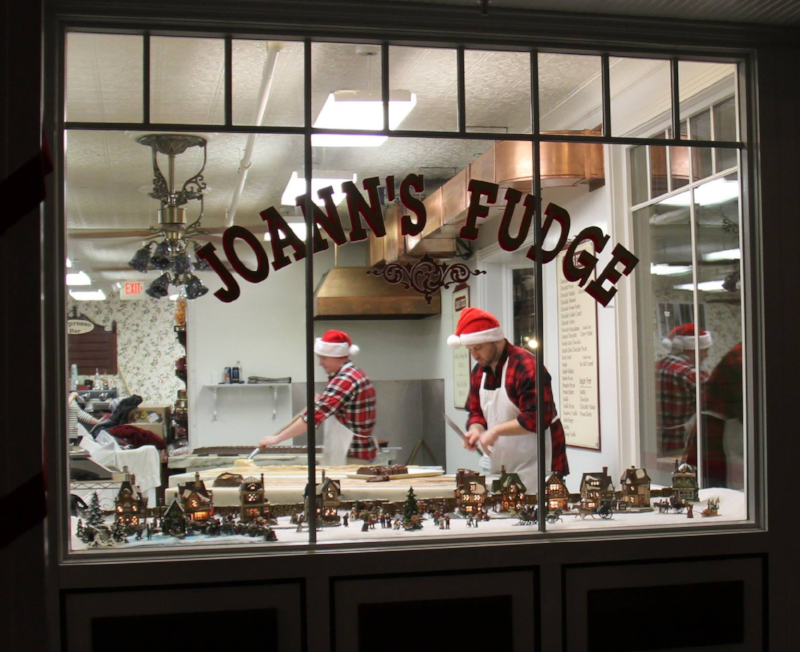 You can order fudge in the third delivery for yourself - so that your family can enjoy Joann’s Fudge for Christmas!